Sparkly Green requested fairy makeup look inspired by Tinkerbell herself. This is a quick fresh affordable look to complete your costume. Sparkly red and black vampira makeup requested for halloween using affordable products inspired from my latest photo shoot. 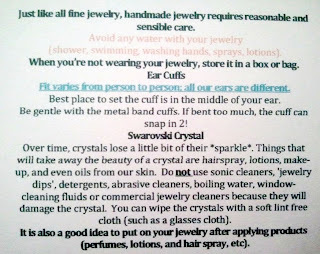 I found the cutest little online store called i-candy couture. There is a wonderful variety of hand crafted accessories like barbie, hello kitty, and more! YOU MUST SEE THIS SHOP!! I love it even more because it's affordable!! Now go check it out and see for yourself.!! I love the Greek Goddess look and never really got to try it out yet, I searched around to see what looks are out there and they were so boring. I always just freehand my work and record while I am doing it. I love mythology and all the goddess', it was so hard to just choose one so I made up my own and now I am showing you my makeup look including how to hair in the following video. The Legend of Zelda background music.. lol I love it.. this look made me think of that. BH Cosmetics 88 Matte and Shimmer Palletes 1st Ed. Today's Halloween tutorial is inspired from this old homecoming dress I had, I look at it now and think that is a salsa dress and no way would a girl now wear something this costumey to a dance. I am so glad I saved it, like I do with all my costumey clothes and got to finally create a look with it. I am so not kidding, but I really feel the mood I was trying to protray so without further adue, please enjoy my Salsa girl hair and makeup tutorial. 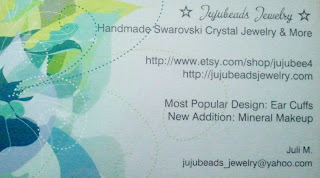 A very new company has came to my attention and its called Jujubeads Jewelry. 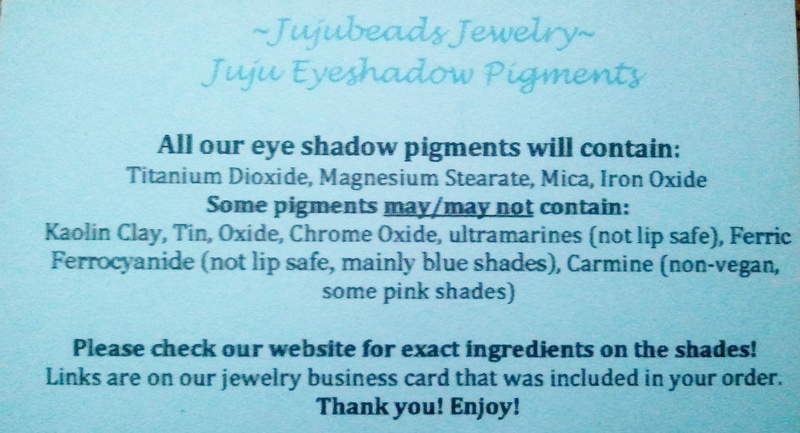 This store is new to etsy and facebook and has recently started a mineral makeup line in addition to the beautiful selection of hand crafted jewelry. I was very excited to share this company once my package arrived. 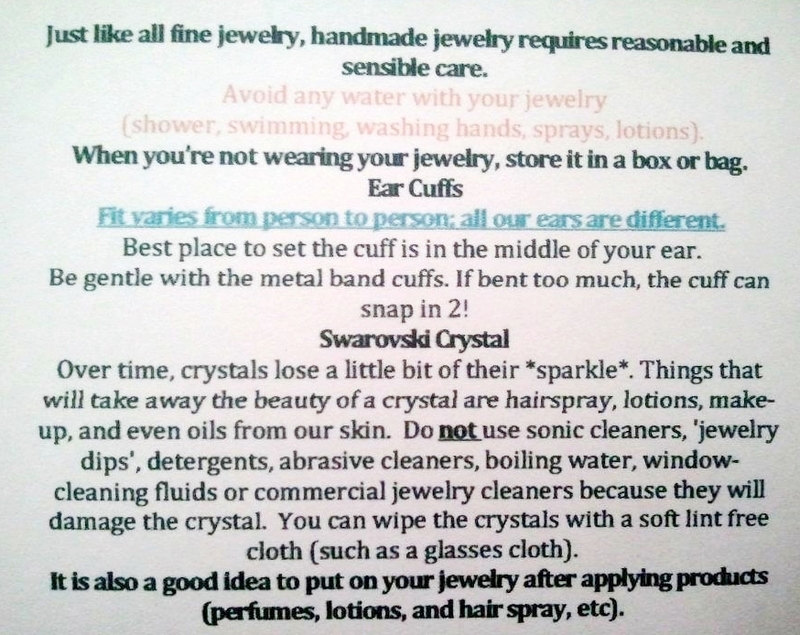 I was plesantly surprised by the presentation of each individual item. It was elegantly put together and shipping was great. Please watch my review video for more of my thoughts and check out the pictures. 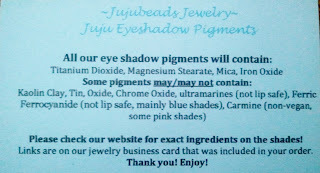 Thank you so much Jujubeads Jewelry and Cosmetics for having me review your company. who is also and alternative clothing store!! Check out my video review and pictures below. OMG I was in eyelash heaven when I found this amazing website called Madame Madeline. This is an online store with a crazy variety of basic to extreme lashes and other amazing products to go with them. Please watch my video review for more information and then check out the website for yourself!